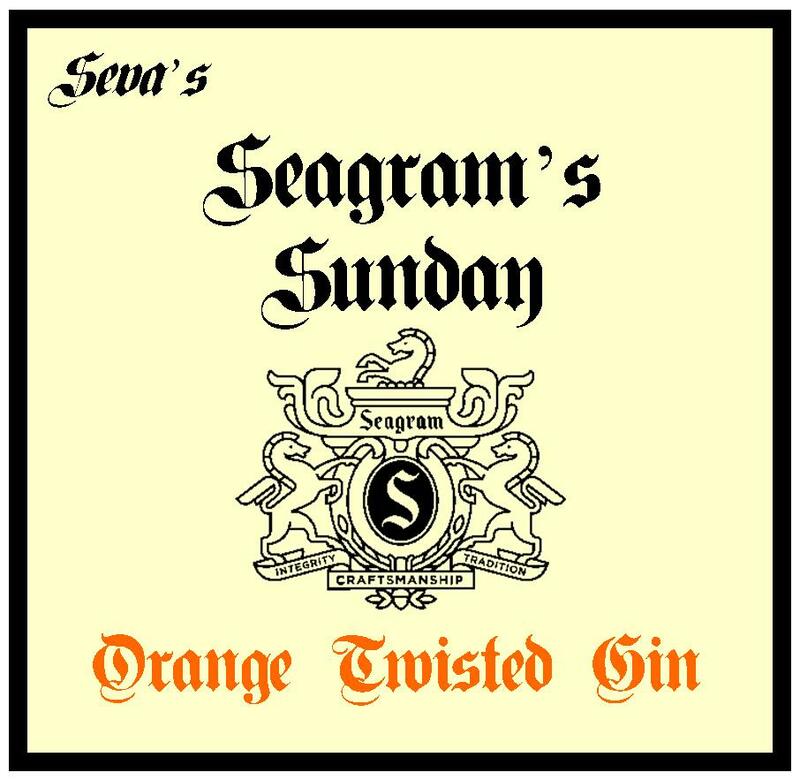 Released in 2007, Seagram’s Twisted Orange follows in the footsteps of a long history of products which pair gin and orange. Early orange gins tended to be like a cordial in style; that is, they were sweeter and of a lower ABV – almost liqueur-like. Some modern orange gins, such as the 1990s offering from Beefeater, were simply flavoured gin, being unsweetened, clear in colour and bottled at the usual 40% ABV. Nose: Not a very strong nose; mostly orange. Taste: Very, very orangey, but the flavour reminds me of Calpol, being more of an artificial, orange oil flavour. Strong, but bitter. Again, the orange flavour was strong, but rather medicinal and slightly bitter. Overall, this drink still tasted rather artificial, like bitter orange oils, and I would have vastly preferred a much fresher flavour. As you would expect, this makes a Martini that’s heavy on the orange notes, but I found that those dry orange notes do work well with the vermouth in this drink. Definitely the best way to drink this that I’ve tried so far, and the more I drink, the more I like it. Orange and Negronis are a naturally good match, but this drink was a bit juicier than a plain gin Negroni using an orange twist, tasting more like it contains a splash of orange juice. This was different, but pleasant to drink, with the strong bittersweet notes that you would expect from a Negroni. As the Seagram’s flavoured gins go, this is one of the weaker ones; the orange flavours are a bit artificial. I’m not, personally, a fan of orange flavoured white spirits, mainly because you can get a fuller, more pleasant orange flavour into a cocktail by a host of other means. My favourite drink was the Negroni. This entry was posted in Vintage Cocktails and tagged Gin, Orange Twisted, Ornage, Seagrams, seagrams sunday, Seagrm's by DTS. Bookmark the permalink.